Bone density tests are easy, painless and noninvasive. Virtually no preparation is needed on your part. 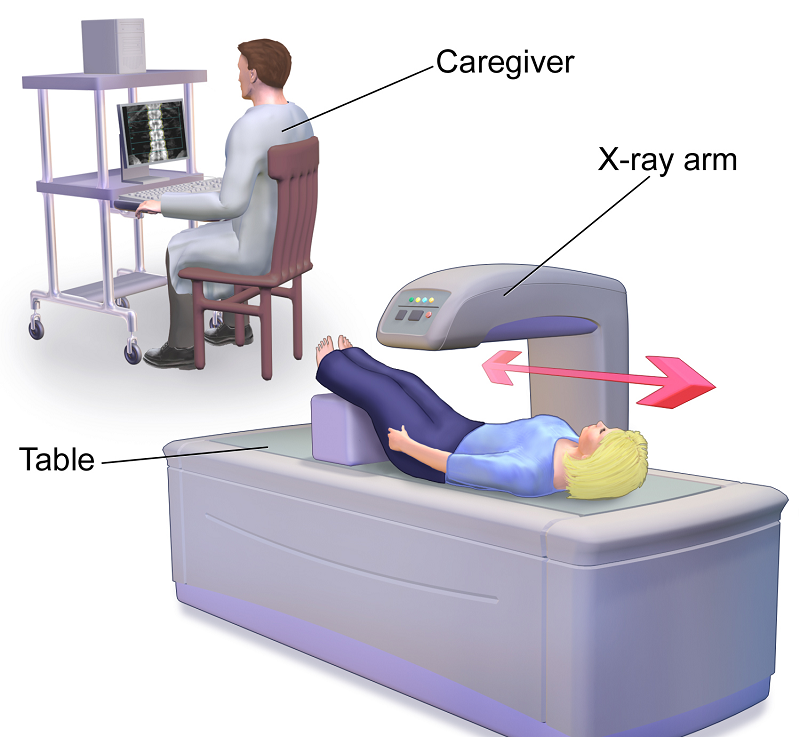 There are different Bone density test, but the Dual energy X-ray absorptiometry (DEXA) are the most accurate. It can detect a 1 percent change in bone density. Usually your hip and spine are measured. During the test you lie on a padded platform. An imaging machine passes over your body and takes images of your bones. This test is non-invasive, but it does emit about one-tenth the amount of radiation as a chest X-ray. If you recently had an oral contrast or nuclear medicine testing, please inform your health provider. These tests use radioactive tracers that may interfere with your bone density tests. If you are pregnant, tell your doctor. Bone density measurement uses radiation and although at extremely low levels, it could cause fetal complications.isplayed on a monitor and are recorded. There are no side effects with this test and your doctor will notify you of the results.